Holding tanks, replacement and repairs. Knowing that most vintage airstream trailers have been abandoned to an open field or the north side of a barn for sometimes decades, “plastic holding tanks” usually cannot withstand the elements and extreme changes of weather conditions. Many previous owners never properly winterized their trailers and completely eliminated moisture and the solid waste from all the holding tanks. If there was a break or small drip, most folks just use a glue or construction caulk to stop the flow but rarely fix the tank problem permanently. 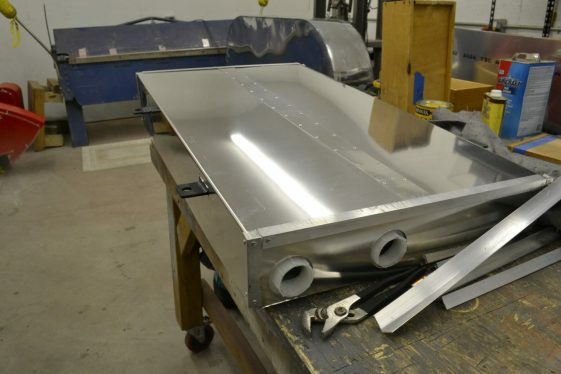 The only way to end the problem is to replace the tank with new components, aluminum seam welding or in some cases, a new tank. If caught in time the repair procedure can be reduced and sometimes eliminated because if pasted over the resulting band aide fix can cost hundreds if not thousands of dollars. Go to VARR.co or give Gene a call at 435-654-5465 for professional advice.